Spirituality is within the Soul. Aretha Franklin was more than “The Queen of Soul”. Aretha grew from a southern religious Bible belt girl into a northern girl that could take a gospel song and mesmerize the souls of those listening to her. She was her father, The Rev. C.L. Franklin’s, magical music spellbinding gospel muse. He wanted to save souls and his daughter helped him connect wandering souls to G-D through her voice. 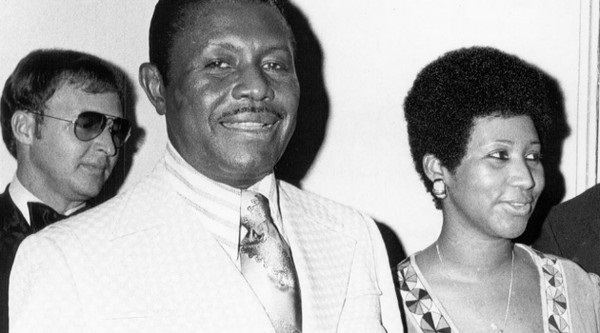 Aretha and her father shared dreams that took them in different directions only to converge at an intersection that only a father and daughter understand. Rev. Franklin, preacher and Civil Rights activist, moved his family from the deep southern states of Mississippi and Tennessee and traveled to Buffalo and New York to provide a better life for his children. In 1946, the city of Detroit was the Franklin family’s final destination and where Rev. Franklin founded The New Bethel Baptist Church. Aretha under her father’s watchful presence and tutelage helped him grow his congregation and save those wandering “Souls” needing a place to call home. Aretha, “The Queen of Soul”, is an appropriate title to honor a woman who shared a passion for soulful songs but who also helped sing human souls to G-d.
Life is a perilous journey where not all roads are paved. Aretha had her share of human tragedy and unexpected life altering moments. We all do. Aretha Franklin is Rev. C.L. Franklin’s daughter. They shared a spiritual bond, a musical dream and love for G-d. They shared the prayer. Aretha is now on stage with both her fathers. *Held within the personal papers/files of Al Abrams: Al Abrams was the Detroit publicist hired by The Rev. C.L. Franklin to promote a three-day, “Soul Bowl ’69” extravaganza that was to be held at the Houston Astrodome in Houston, TX, to promote African music and culture. Aretha was to head the star-studded event. It was to benefit, what Rev. Franklin referred to as “Ghetto Causes” and uplift the status of the African-American family. The event never materialized. In later years, Aretha, called Al to personally thank him for his kindness and his awareness of the plight of African-American families. Abrams and his African-American public relations partner never accepted compensation.